ParkVia has started offering Cluj-Napoca Airport Parking facilities for customers departing from Cluj-Napoca International Airport. Our customers now have the opportunity to book airport parking within minutes of the airport terminal. All our car parks offer great facilities and services for Cluj-Napoca airport parking customers. How to book for Cluj-Napoca airportpParking? Just enter the dates and times you wish to reserve your Cluj Napoca airport parking for. Click on 'Check Availability' to see our instant quote immediately. Select the best option for you, click on 'Book' and complete the online booking form. Booking is fast, simple and more importantly, it guarantees your Cluj-Napoca Airport Parking space. The airport is located at a distance of 8 km east of Cluj-Napoca city centre, on the European route E576. At present, the airport offers excellent passengers facilities including various restaurants and cafes, touristic services or rent-a-car services. 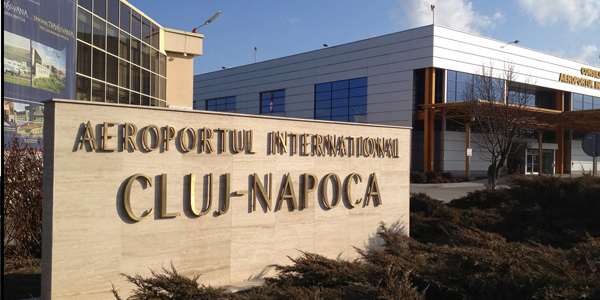 Cluj-Napoca International Airport serves the city of Cluj-Napoca, Romania. Originally, the airport was known as Someseni Airport as it is located in the Someseni area, now within the Cluj-Napoca city limits. It is the fourth largest airport in Romania and because of its size and location, it represents the main airport in Transylvania (north-western Romania). During the years 2007 and 2008, the airport experienced a significant growth and evolution of 60% and 93% respectively. In December 2010, Cluj-Napoca International Airport reached a record number of 1 000 000 passengers handled.